This walkthrough will show you how to create a discount code on Shopify which can only be used on a customer's first order. 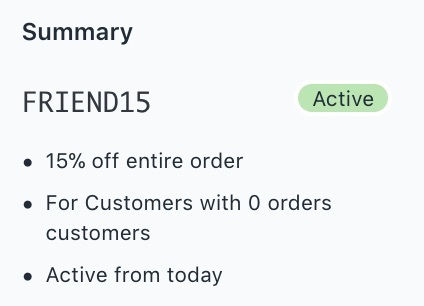 This type of discount is ideal to use as part of a referral campaign as it can effectively only be used once per account (on their first purchase), and cannot be used by existing customers who have already ordered before. 2. 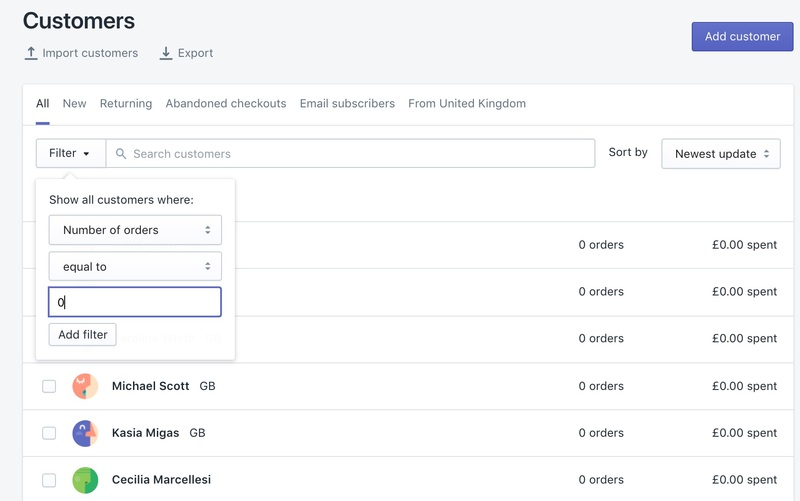 Click on "Filter customers"
3. Add the following filter: "Number of orders is equal to 0"
5. On the right, click "Save this Search". 6. 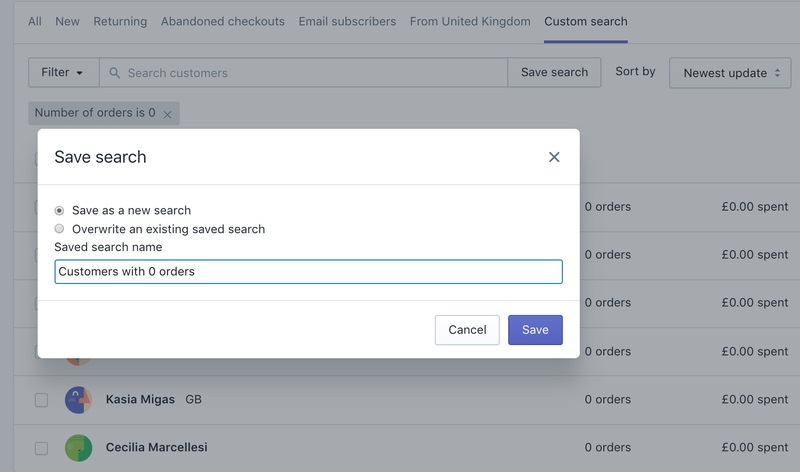 In the popup, save it as a new search and give it a name like "Customers with 0 Orders"
9. 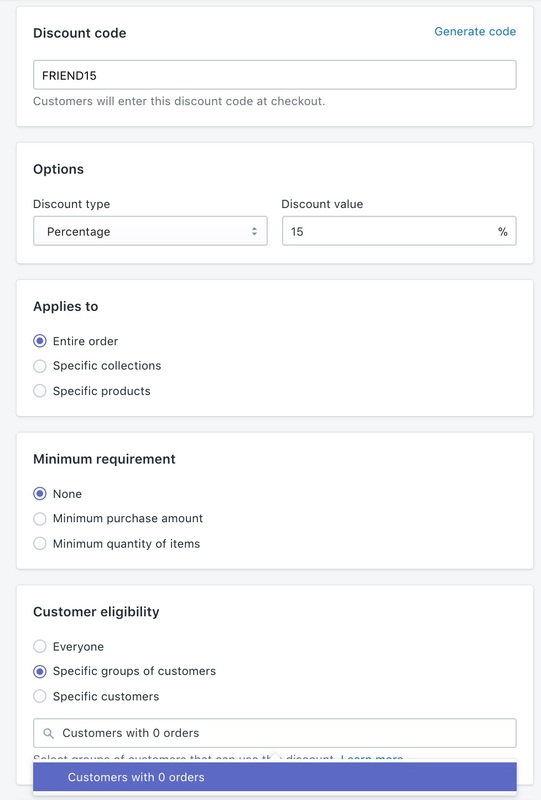 Under "Customer eligibility" select "Specific groups of customers" and search for "Customers with 0 orders"